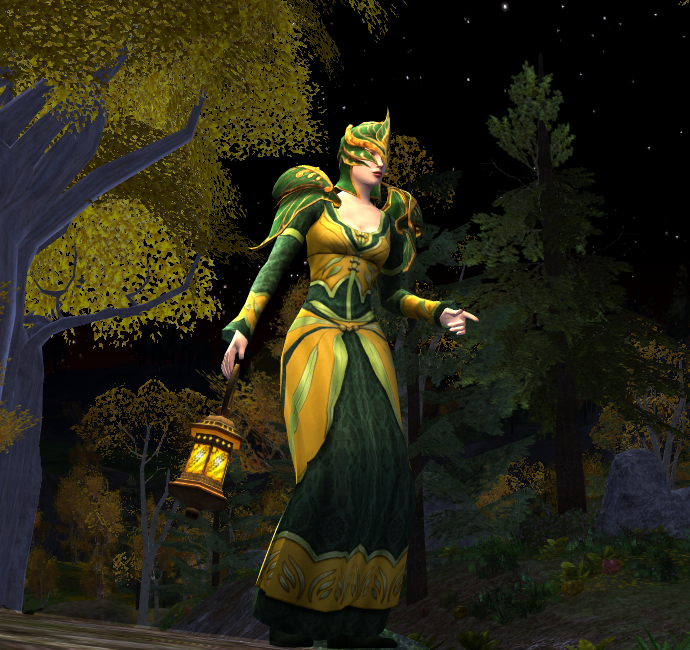 Here is a preview of the Spring Festival Cosmetics 2013 available from the Quartermaster at the Festival Grounds. The Lissuin Steed comes in two versions: the regular festival horse and a set of war-steed cosmetics. The normal horse is available for 40 Spring Leaves at the Quartermaster on the Festival Grounds or at the Hengstacer Farm. The war-steed cosmetics are available at two different locations. Caparison and Leggings at the Quartermaster for 20 Spring Leaves each, and Halter and Saddle at the vendor in Bree near the Boar Fountain for 80/80/80 flowers each. You need to do the (daily) flower picking quest from the same vendor to obtain those flowers. The war-steed cosmetics can be dyed.